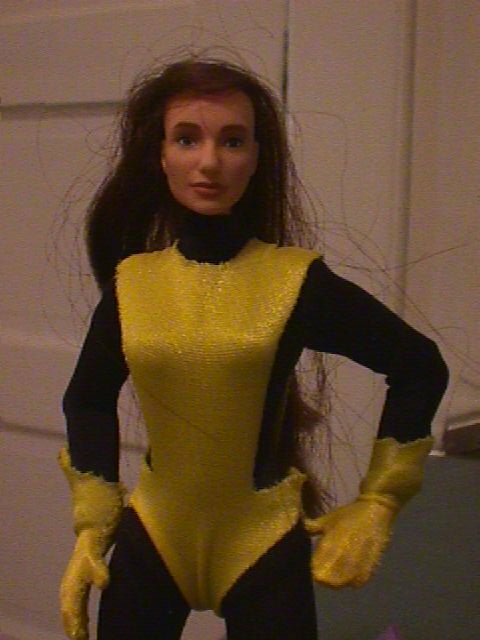 Aunt May's body, with the head of Anij from "Star Trek: Insurrection" and hair made from a doll-horse's tail. 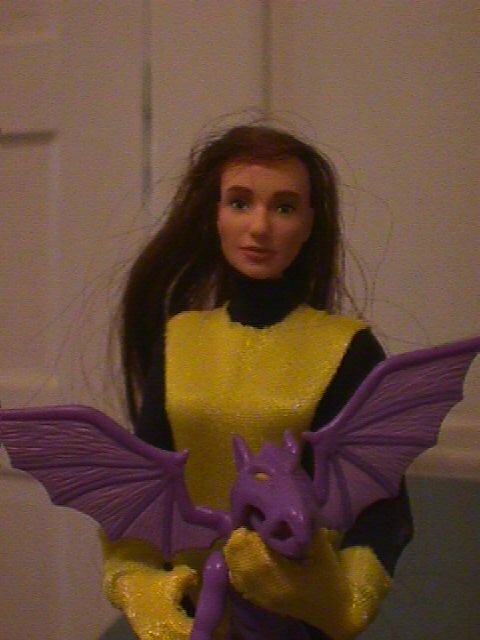 (That needs more work, I think!) 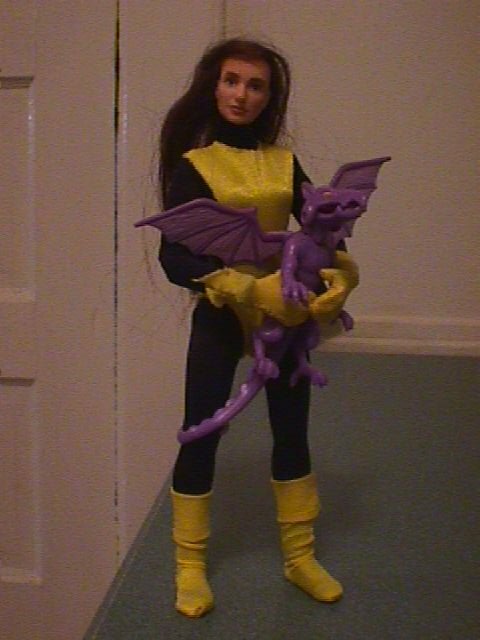 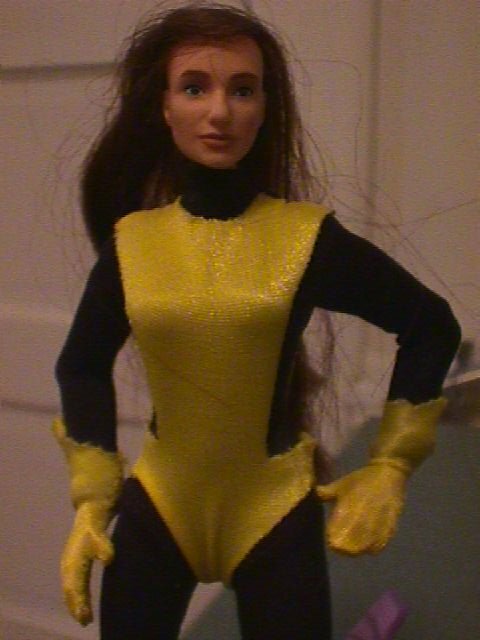 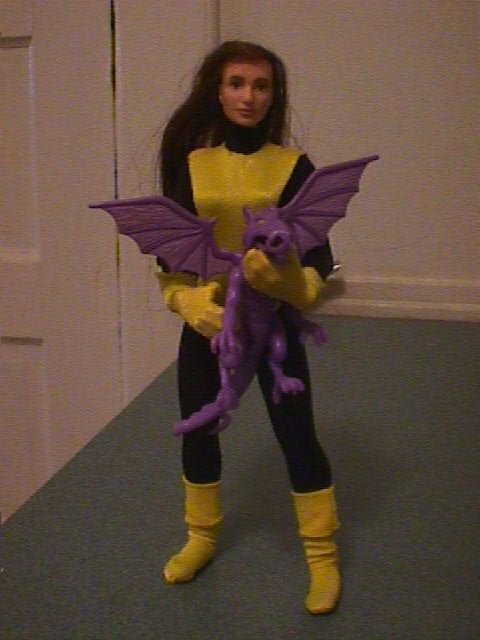 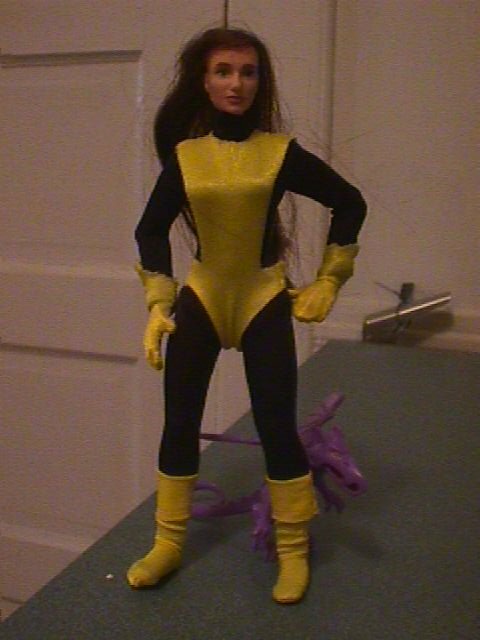 Spider-Woman's jumpsuit custom-made yellow parts. 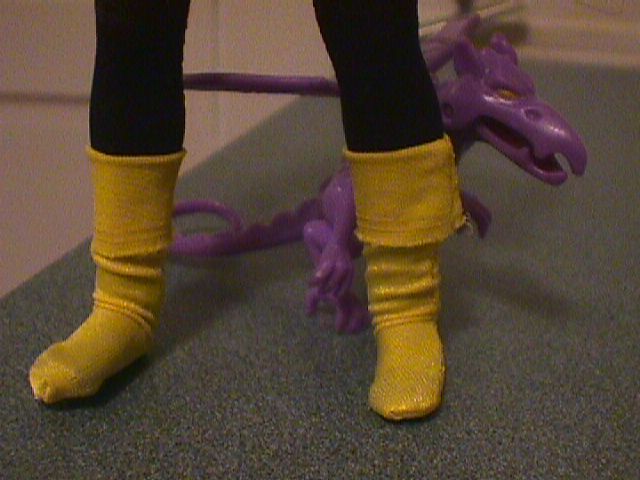 The boots are just tube-socks, rolled down. 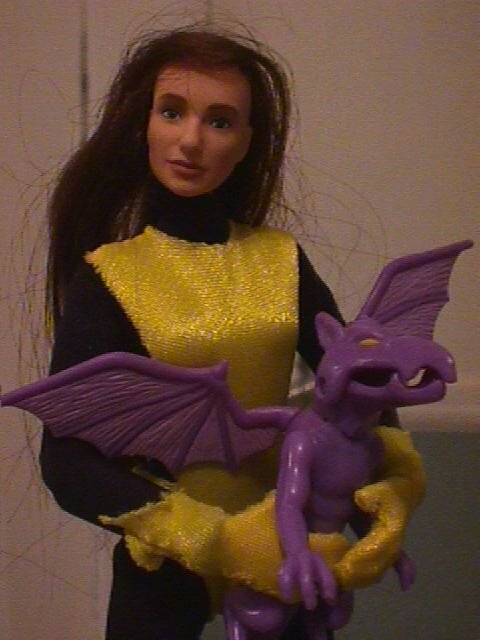 "Lockheed the Dragon" from the smaller-scale "Majick" figure.